Entry is open to residents of the UK except employees (and their families) of Solleys Farms Ice Cream Ltd, its agents and any other companies associated with the competition. 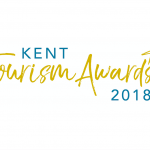 The entrant(s) must be aged 18 or over; or if you are under 18, that your parents/guardians have consented to your entry into the Competition and these Conditions. An entry may be made by posting a photo on Twitter, Facebook or Instagram which must include “#SolleysSelfie”. Only posts which are publicly available to view will be considered for entry. This competition is in no way sponsored, endorsed or administered by, or associated with Facebook, Instagram or Twitter. By participating you hereby release and hold harmless Facebook, Instagram & Twitter from any and all liability associated with this promotion. This competition is run by Solleys Farms Ice Cream Ltd.
One winner will be picked per month and entrants may enter multiple photos. The prize is one x 1L tub of Solley’s Ice Cream in a flavour of the winners choice and is not transferable to another individual and no cash or other alternatives will be offered. The winner(s) will be sent a voucher which may redeemed at Solley’s Ice Cream Parlour only, during normal opening hours. The winner(s) is(are) responsible for expenses and arrangements not specifically included in the prizes. Prizes are subject to availability. 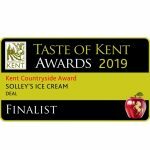 Solleys Farms Ice Cream Ltd reserve the right to amend or alter the terms of competitions and reject entries from entrants not entering into the spirit of the competition. In the event of a prize being unavailable, Solleys Farms Ice Cream Ltd reserves the right to offer an alternative prize of equal or greater value. 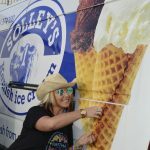 The winner(s) and all entrants agree(s) to the use of their name, photograph and disclosure of county of residence and will co-operate with any other reasonable requests by Solleys Farms Ice Cream Ltd relating to any post-winning publicity. This includes the use of their #SolleysSelfie photo on social media channels, posters and any other marketing materials. Unless stated otherwise the winner(s) will be drawn from all entries received within the corresponding month by Solleys Farms Ice Cream Ltd. Reasonable efforts will be made to contact the winner(s). If the winner(s) cannot be contacted, or are unable to comply with these terms and conditions, the Promoter reserves the right to offer the prize to the next eligible entrant drawn. Failure to respond and/or provide an address for delivery of the voucher, or failure to meet the eligibility requirements may result in forfeiture of the prize. Where applicable, the decision of Solleys Farms Ice Cream Ltd and no correspondence will be entered into over this decision. Competitions may be modified or withdrawn at any time. The provider of the prize is Solleys Farms Ice Cream Ltd. The winner will be published on Solleys Ice Cream social media channels each month. In the event of no entries within a month, there will not be a winner. These Terms & Conditions were updated January 2018 and the Solley’s Selfie competition will run monthly from January 2018 – December 2018 unless otherwise advised.